When eating appetizers at a social occasion, preview your choices and decide which you'd like to try instead of taking some of each. Serve with assorted cut-up fresh vegetables and tortilla chips. 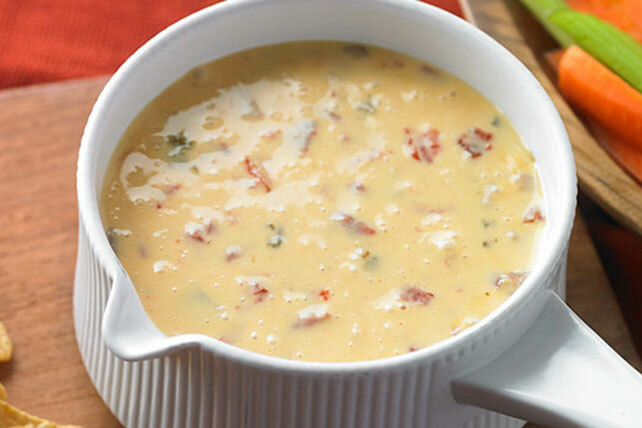 Refrigerate any leftover dip. Reheat and serve spooned over hot baked potatoes or cooked pasta.